The Schools We Need is a passionate and thoughtful book that will appeal to those who can’t understand why America’s schools aren’t educating our children. E.D. Hirsch, a first-rate scholar and the author of Cultural Literacy, masterfully exposes the philosophy behind progressive education to its source in 19th century Romanticism, a European literary movement that produced some beautiful poetry, but was disastrous as an education philosophy. Why, he asks, does a shallow and fallacious Romanticism continue to dominate American education, when Europe, after a brief flirtation, quickly returned to tradition? His “Critical Guide to Educational Terms and Phrases,” in which he analyzes the deceptive rhetoric of modern education, will open your eyes and clear away the fog that has resulted from a century of confused and erroneous education slogans that have seduced a nation. 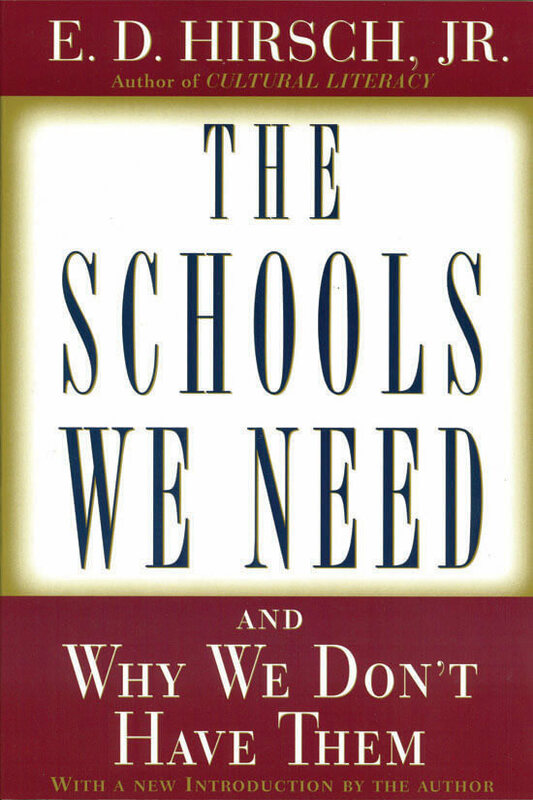 This is the best book ever written on what has caused the chaos in American education and what we can do to change it. As a classical Christian educator, do you really understand the difference between modern progressive education and traditional education? If not, this is the book for you. Progressive education is so seductive that we like to compare it to the sirens’ song—it is almost irresistible. This book will give you the knowledge and understanding you need to be forever immune to the appeal of “progressive” education.